When I think about growing vegetables and if I am asked how I would describe my vegetable garden, I would probably say its fun, I get lots of exercise, it's relaxing, and I get to eat my hobby. Now I ask you, can you think of a better hobby? As with most everything that we do, we do because we are motivated. If there is no fun then there is no enjoyment, therefore there is little motivation. When this happens we fall into the all too familiar trap of "I'll get around to it tomorrrow." There is an old saying that goes, "there are many a slip from the cup to the lip," which more often than not, applies to the general health of your vegetables during their growing stage. 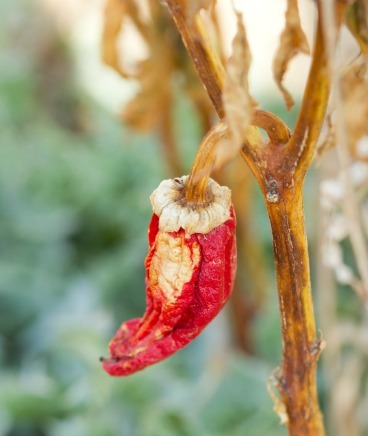 When growing vegetables, there is nothing more frustrating or disappointing for a beginner gardener than to watch your vegetable plants as they grow wilt and die. "Now how did that happen?" You say to yourself. It is therefore understandable for you to grumble and say "I give up!" Well...Don't! Read on, because this article about growing vegetables will address most of the potential problems and hazards your veggies may encounter, by offering some great tips and suggestions on how to keep your vegetables healthy throughout their growing season. With a little diligence and know-how, you will have a great crop at harvest time that both you and your family will enjoy. Yep! ... We're going to put the "fun" back into gardening. When your vegetables are stressed and show signs there may be something wrong, well ... it usually means there is something wrong! Either your vegetables are not getting sufficient nutrients, not enough water, too much water, not enough sun, or they may even have an insect problem. However, most if not all of your vegetable plant problems can be solved by taking action using the following guideline. Before you begin growing vegetables you will need to know where in the garden your vegetable plants should take up residence. If you're not sure, you can find out more about where they should be planted by clicking our link beginner gardening. Nothing survives without nourishment including your vegetable plants. However, if you live in garden-heaven than this won't be a problem. unfortunately the vast majority of us gardeners do not; therefore it becomes necessary to add fertilizer to the soil before you plant. You can read more on types of fertilizer for your garden by clicking our link vegetable fertilizer. In case you may wonder why your vegetable plants suddenly start wilting away after off to such a great start, it's because they run out of vital nourishment. All plants need Macronutrients (nitrogen, phosphorus and potassium) Secondary nutrients (sulfur, calcium and magnesium) Micronutrients (iron, manganese, zinc, chlorine, boron, copper, and a trace of nickel). When growing vegetables you can reduce a vast majority of plant problems by using good soil and organic fertilizer. However, not all vegetable plants are happy using the same amount of fertilizer. This is important for the beginner gardener to know if your taste buds expand beyond a single plant such as tomatoes, to a more diversified garden patch where you may want to also grow sweet peas, beans and so on. Use fertilizer sparingly on - Beets, peas, potatoes, beans, carrots, turnips, onions, radishes, and watermelons. Increase fertilizer for - Peppers, melons, pumpkins, squash, leeks, lettuce, sweet corn, celery, cabbage, Brussels sprouts, cauliflower, tomatoes, kale, spinach, broccoli, and potatoes. Stunted growth with leaves yellowing beginning with older leaves then yellowing with newer leaves, there is lack of Nitrogen in the soil. Correct by purchasing Nitrogen at your local nursery and be sure to carefully read the manufactures instructions. Better still; also speak to the local nursery expert for added help. Stunted growth and old leaves die as well as little flower activity with poor fruit production, then the soil lacks sufficient phosphorus. Again correct with the suggestion above. Shriveled fruit, uneven ripening with older leaves scorched and the plants stem is weak, it usually means the soil is lacking in sufficient potassium. Tips of vegetable plants are brown and eventually become crispy and die. The fruit is corky in texture and new flowers do not form. This usually means - Lack of Boron in the soil. New leaves turn yellow and then begin to brown with up-turned tips. Usually means the stem is weak and there is lack of sufficient calcium in the soil. New growth dies and will not mature. It usually means - Insufficient copper in the soil. New leaves show a distinct yellow color but the tips remain green. The cause - Soil is lacking in sufficient iron. Note. Nothing grows in barren ground so be sure to use vegetable fertilizer at the beginning of growing season when you till the soil for your vegetable garden. Now that you know what nutrients your vegetable plants require, check with your local nursery or garden center as most will carry what you need. While there, ask the nursery or garden center expert how much should be added to the soil to correct your vegetable plants problem. I'm sure they will be more than happy to tell you. More information can be found at Arizona Cooperative Extension.